He also liked his suits from Savile Row. It’s fair to say Christian Dior had a regard for the UK. Especially the royals. When Mr Dior dressed Princess Margaret for her 21st birthday in 1951, he would unassumingly lay the foundation for the type of trusted fashion relationships we see today – such as the Duchess of Cambridge’s devotion to all things (Sarah Burton for) McQueen; from her 2011 wedding day to her tartan coat on a visit to the V&A Dundee this week. As an exhibition dedicated to his éminence grise, Christian Dior: Designer of Dreams, opens its doors in the V&A down south, it would be difficult to reflect on the Dior we know quite without London – and without the young Princess, whose passion for the Montaigne marque gave Anglophile Mr Dior a helping hand in the figurative keys to the city, and English society. It began with an order (or several). Coming of age, the young royal, who, as it has become legendary, knew the shortcut to a good time, would need a few pieces of bobby-dazzler couture. Where better to shop than the man Jean Cocteau described as the “nimble genius unique to our age with the magical name – combining God and gold [dieu and or]”? Walking in to Designer of Dreams, you come face to face with Princess Margaret’s 21st birthday dress as if you’ve run into her at a party. Which feels entirely apt. On loan from the Museum of London following conservation work, the gown wears beautifully the fragile passing of time – it has enjoyed itself, as it should – yet its intricate couture embroidery remains, bulletproof: you get what you pay for. Cecil Beaton’s iconic photograph of the occasion – the photographer as adroit with a camera as Mr Dior was with the stick he used for gesturing during fittings – takes up the entire wall opposite. 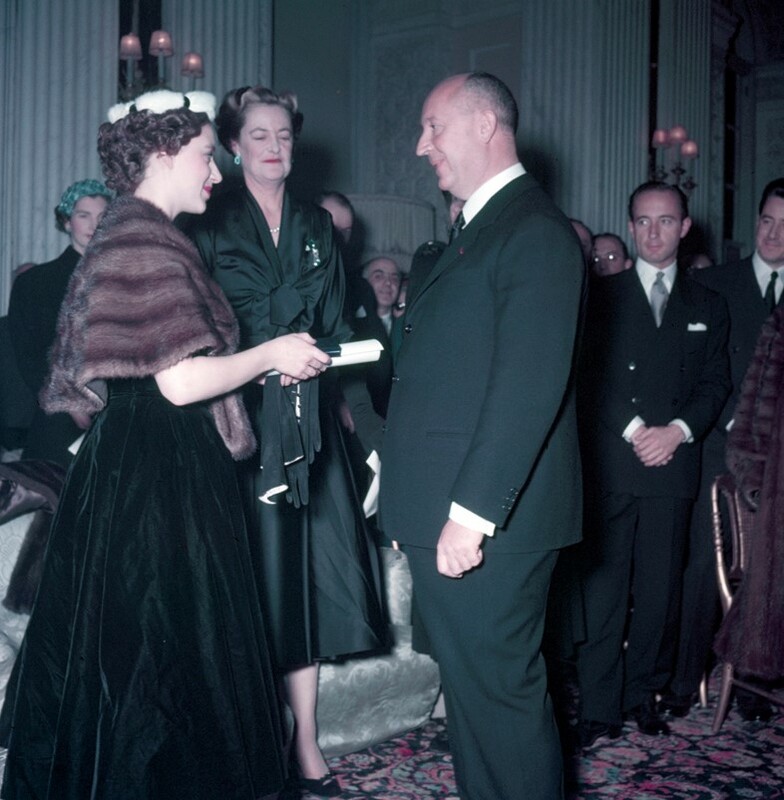 Perhaps the dress wouldn’t exist were it not for the private fashion show Dior gave the Queen (the late Queen Mother) and Princesses Elizabeth and Margaret at the French Embassy in London, April 1950, at their royal request. 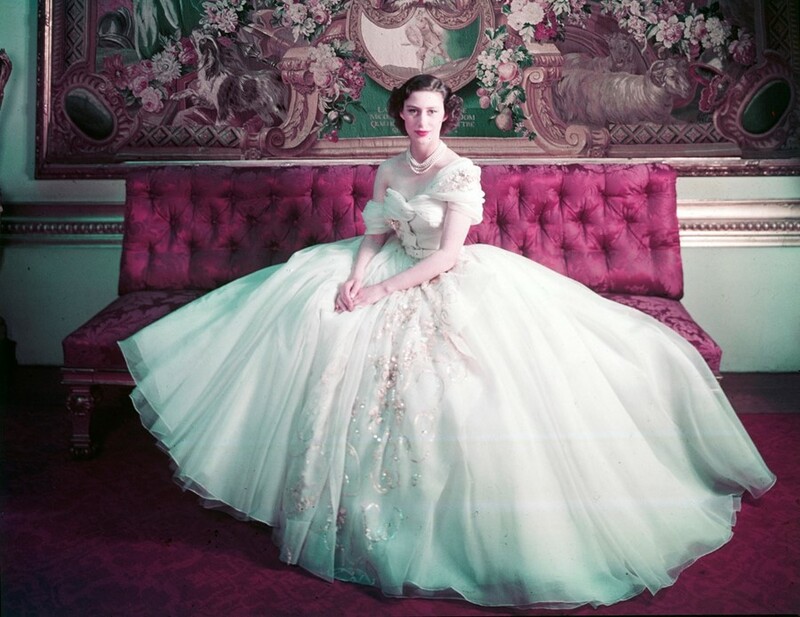 Though the young Princess first met the couturier in Paris, Spring 1949, on her first European visit. Like everyone else, the royals found post-war Dior, with his New Look, a sensation (a public show at The Savoy saw more than 4,000 apply for tickets). With Dior came fabric – loads of it. It was a vision unrelenting and scandalous, uttering ‘au revoir, rationing’ without saying a word. It closed a bleak chapter and gave people the chance to dream again – fittingly, given Dior’s art leanings, being an ex-gallery director. Because, when you’ve lived through conflict and destruction, who wouldn’t be smitten by fashion that goes off the leash? These were clothes waiting for the future, the new world to hurry up. “She crystallised the whole popular frantic interest in royalty,” Dior wrote of Princess Margaret in his autobiography Dior by Dior. “She was a real fairy-tale princess, delicate, graceful, exquisite.” Pieces chosen by the royal were marketed “as worn by Princess Margaret,” a burgeoning example of the celebrity imagery we see everywhere today. In 1954, wearing black velvet and mink, she was guest of honour at his fashion show at Blenheim Palace, a benefit which raised money for the Red Cross – and of which several looks are held in the V&A’s collection. Margaret was there too when the house returned to Oxfordshire in 1958, under golden apprentice Yves Saint Laurent, following Dior’s untimely death. 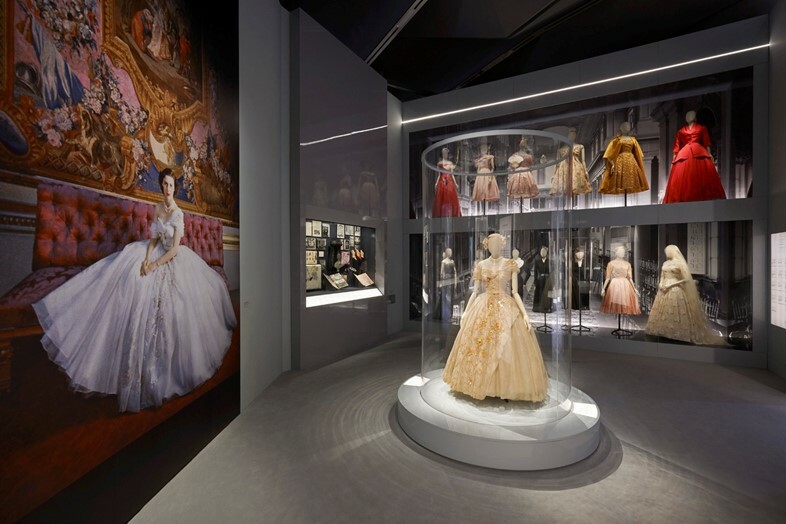 The 21st birthday dress is the lynchpin of ‘Dior in Britain’, the Musée des Arts Décoratifs exhibition Christian Dior: Couturier du Rêve reimagined by the V&A’s Orielle Cullen for its London leg. What’s explored is a facet of the grand French maison closer to home. The global Dior of today can be traced back to establishing a second premises, Christian Dior London, in 1952, and its collaborations with British manufacturers, including Dents for gloves; Rayne (shoes); Lyle & Scott (knitwear) and Mitchel Maer (costume jewellery). It’s the work of Mr Dior’s all-seeing panorama that ensures the house still shines today.